Editor's note: Branislav Hock (@bran_hock) is PhD Researcher at the Tilburg Law and Economics Center at Tilburg University. His areas of interests are transnational regulation of corruption, public procurement, extraterritoriality, compliance, law and economics, and private ordering. Author can be contacted via email: b.hock@uvt.nl. This blog post is based on a paper co-authored with Suren Gomtsian, Annemarie Balvert, and Oguz Kirman. Game-changers that lead to financial success, political revolutions, or innovation, do not come “out of the blue”; they come from a logical sequence of events supported by well-functioning institutions. Many of these game changers originate from transnational private actors—such as business and sport associations—that produce positive spillover effects on the economy. In a recent paper forthcoming in the Yale Journal of International Law, using the example of FIFA, football’s world-governing body, with co-authors Suren Gomtsian, Annemarie Balvert, and Oguz Kirman, we show that the success of private associations in creating and maintaining private legal order depends on the ability to offer better institutions than their public alternatives do. While financial scandals and other global problems that relate to the functioning of these private member associations may call for public interventions, such interventions, in most cases, should aim to improve private orders rather than replace them. FIFA is the governing body for football (or soccer, as it is known in some countries). Founded in 1904 under Swiss law by seven football associations, just 40 years ago, FIFA was a small gentlemen's club with a staff of 11, far from politics, which produced little cash. Since then, it has evolved into a powerful organization generating billions of dollars in annual revenues through sales of media and marketing rights; now it employs hundreds. The rise of FIFA has been a continuous process that was made possible by the reluctance of states and supra-national organizations such as the European Union (EU) to intervene in the governance of sport, particularly football. Hence, supported by and benefitting from the special treatment of sports, FIFA filled the regulatory gap and strengthened its status as a private regulator. Besides the rules of the game, FIFA’s legal order includes privately-designed rules of cooperation and a complex organizational structure that spans every involved party including players, clubs, coaches, managers, club investors, officials, sponsors, and spectators. The centerpiece of the relations regulated by the rules of FIFA are employment-related questions. Most importantly, FIFA’s Transfer Regulations create strong tensions between FIFA’s regulatory autonomy and public orders such as the sovereign jurisdictions of FIFA’s member associations and supra-national organizations. Tensions between different levels of employment rules are especially visible in matters related to equality and/or non-discrimination of workers, the treatment and qualification of minors, the freedom to choose employment, and the freedom of movement. 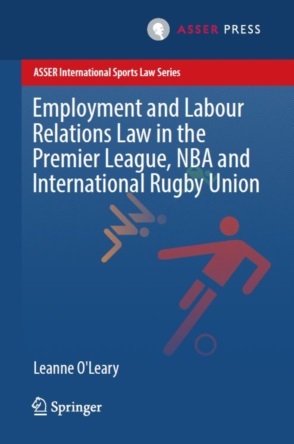 For example, the inability of players to terminate their contracts without cause, before expiry and without paying compensation, is in stark contrast with traditional employment laws, according to which employees are free to end employment without cause by prior notice. Figure below illustrates the relationships between the different levels of “football ordering” and public ordering when it comes to labor rules. 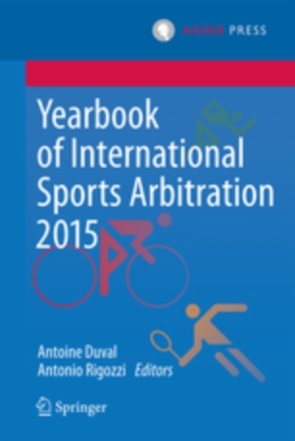 Furthermore, FIFA has also private dispute resolution venues and sophisticated system of sanctions and incentives promoting compliance with the decisions of the private order’s dispute resolution bodies. Possible sanctions vary but they are leveraged by the monopoly power of FIFA. Consider the right of FIFA to suspend a member association for a specific period or expel it fully from FIFA for failure to comply with its obligations, including an obligation to comply with FIFA or CAS decisions. Given FIFA's monopoly, this, in fact, means that national teams and licensed clubs from the suspended or expelled country cannot participate in any organized game. As a consequence, FIFA has been able to maintain cooperation among all involved actors, yet, along with the increasing commercial dimension, the incentives of states and other public orders, particularly the EU, to intervene have grown. The fact that FIFA is undermined by corruption is nothing surprising. Prof. Alina Mungiu-Pippidi shows that the average public integrity in more than 200 countries whose soccer associations are the FIFA constituents “is just 5, on a scale where New Zealand has ten and Somalia 1” […] “Were FIFA a country, it would clearly not be in the upper half, but somewhere near Brazil, whose officials seem to have been waist deep in its corruption, and which ranks around 121, with a 4.2”. FIFA’s administrative structure, certainly, needs reforms that will improve its financial stability and decrease corruption risks within the organization. These reforms, indeed, may require “public nudge” by the enforcement of extraterritorial “anti-mafia” statutes such as the US Racketeer Influenced and Corrupt Organization Act (RICO) that played the central role in the so-called FIFAGate. Moreover, in the light of “the second FIFAGate”—six months after the original scandal, a number of FIFA officials that replaced the old leadership were charged with a 92-count indictment—and after the recent neutralization of its internal corruption investigations (see here), more radical “public nudge” may be desirable. Indeed, these developments, as was discussed in this blog some time ago, may call for a more powerful intervention by, for example, the EU, to impose ‘certain basic “constitutional” requirements’ to FIFA. Nevertheless, while FIFA may need “public help” to clean its house and improve some areas of its legal order, no public order is a better alternative. Common rules spanning across borders, predictable contractual relations, and incentives to invest in training young players are only some advantages made possible by FIFA’s tailored rules of behavior. These advantages would be lost if public interventions would crash the FIFA order and replace it by a patchwork of national laws, unstable contractual relations, more costly dispute resolution and enforcement mechanisms, and limited ability to encourage talent development. Therefore, while FIFA as an administrative organization may generally be considered as more corrupt than an average government, it has been able to offer harmonized institutions that in many cases are better accustomed to the needs of the involved parties than their state-made alternatives, which often are based on one-size-fits-all approach and lack certainty of application. It does not mean that public orders such as the EU and nation states should do nothing. Private entities often need a “public nudge” not only to prevent excesses, but also to maintain incentives to produce rules that reflect new economic and social developments. In numerous writings (for an overview see Katz), law-and economics scholars indicate that while in principle private orders should be best left alone, states should limit the potential of powerful interest groups to undermine the roots of private orders such as FIFA. Who, how, and when should determine the benchmark of what is excessive is difficult, and law-and economics has declined to offer a general theory of the role of public orders in nudging private orders to limit interest groups’ power. Nevertheless, determining the role of public orders is no more difficult than the question what civil society should do when it comes to the performance of nation states. In the context of nation states, the key role in limiting the power of elites belongs to the civil society. In case of monopolistic orders such as FIFA’s, however, there is often no direct representation of various actors inside such orders. Shouldn’t, then, states and the EU assume the role of a reversed civil society when interacting with large and successful private orders? In practice, particularly the EU is more and more involved in an informal co-determination of football-related regulation (for similar argument see here). For example, the recent social dialogue in European football, brokered by the EU Commission, is an example how public orders can fulfill their role as reversed civil society. The EU Commission, instead of intervening directly and regulating sports, encouraged, and should do so much more, various stakeholder groups, such as the European Club Association and FIFPro, to engage in a dialogue with the purpose of improving the practices of player protection (however, it is true that the EU Commission had a way deeper impact through EU competition law, see Duval). For the private order itself participation in this dialogue and active encouragement of the enforcement of its results is the best way to guarantee its role as a supplier of rules (see generally Colucci & Geeraert). In contrary, refusal to accommodate certain mechanisms, and mainly these that effectively limit FIFA’s executives’ power (e.g. Ethics Committee), may lead to a forceful, but legitimate, public intervention with possibly tragic consequences for the world of football. What is so fascinating about FIFA is that it exemplifies how a very small number of enthusiastic people could set a mechanism that is ultimately able to create institutions that aim to regulate behavior of involved actors globally as well as to keep them away from regular courts. FIFA is an example of an order that has created huge economic and social value by being able to overcome many hurdles that prevented countless other member associations from creating their own orders (think of lawyers or investment bankers, for example). The fact that such order locks-in all involved football actors, despite some, such as small teams, benefiting significantly less by their participation than others, suggests that there is a value, despite FIFA’s monopoly power, that alternatives cannot offer. Some of them, such as increased certainty, are in the interests of all involved actors, whereas others, such as commitment to enforce contractual practices or training compensation awards, are more preferred by sophisticated actors (i.e. clubs and prominent footballers) and small clubs, respectively. This, though not allowing to state plainly that the private order is maximizing the welfare of all involved actors, also does not justify arguments for abandoning the current system in favor of state laws. In contrary, failure to accommodate mechanisms that limit the power of inside interest groups might undermine the order by giving incentives to interest groups to advocate public orders’ involvement, thereby putting an end to the monopoly of FIFA’s order, and possibly its destruction.